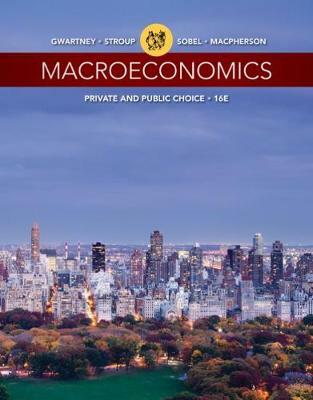 Learn how to apply macroeconomic concepts to today's real world as MACROECONOMICS: PRIVATE AND PUBLIC CHOICE, 16E reflects current economic conditions. This highly readable, up-to-date text analyzes and explains measures of economic activity in today's market. It also highlights the recession of 2008-2009 and dispels common economic myths. The book uses the 'invisible hand' metaphor to explain economic theory, demonstrating how it works to stimulate the economy. This edition even includes online learning solutions, such as Aplia, to improve your learning. Graphing tutorials and videos embedded within the interactive reader support your work and improve your performance.